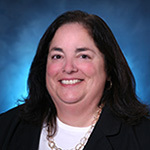 Katherine Karaconstantis LaLime has been serving homebuyers for over 32 years and has held almost every position known to the industry including: processor, underwriter, operations and sales manager. With a passion for lending and serving, Katherine looks forward to being your local lender! Originally from the East Coast, Katherine holds a Master's Degree from Northeastern University and a Bachelor's Degree from Kutztown University of Pennsylvania. She relocated from the Boston Area in 1999 with her son and husband to be closer to family who also relocated to this "paradise by the sea." Her office now sits in the idyllic oceanside town of Vero Beach Florida, where visitors seem to feel instantly at ease amidst the ocean breeze and tranquil atmosphere. Katherine is a repeating honoree of the Affiliate Honor Society of the Realtors Association of Indian River County and has been awarded the Affiliate of the Year. As such, she maintains a high code of ethics and integrity, serving her clients to the highest of standards. She continues to serve on various committees and stays in touch with local, state and federal real estate news to remain well informed and up to date on the latest regulations and trends. Katherine’s extensive mortgage lender experience allows her to meet the long and short term financial goals of her clients. As a top producing Mortgage Banking Officer for the last 19 years, she has successfully closed a wide variety of loans including: conforming, VA, FHA, construction-to-perm, lot and jumbo loans. She originates mortgages for Seacoast Bank throughout Indian River County and Florida, giving her the ability to serve customers wherever they need. Her customer service pledge includes: returning phone calls promptly, delivering same day pre-qualification for clients, communicating with borrowers and realtors weekly, and personally attending loan closings to ensure a smooth and thorough process. Her goal is to make the home buying experience an enjoyable one. Doctor Mortgage – This loan type is for who have completed their residency or med school within the past 10 years. Doctor mortgages allow buyers to purchase a home without the additional cost of private mortgage insurance (PMI). FHA Mortgage – What if your financial position isn’t in its finest state? An FHA loan could be what you’re looking for. These mortgage loans require a down payment of only 3.5% and come with less stringent credit requirements. VA Mortgage – If you are one of the brave men or women who have served our country, we have your back. A VA loan offers you a low interest rate, refinance options, and other great benefits that may not be available with other loan types. Construction Permanent Mortgage – If you’re keen to build your new home or if you’ll be making substantial improvements to an existing one, ask Katherine whether a construction to permanent mortgage might be right for you. Jumbo Mortgage – Home loans are considered jumbo when the loan amount exceeds $417,000. If you’ve found your dream home, talk to Katherine today to secure your jumbo loan. No matter what type of loan you are in the market for, Katherine Karaconstantis LaLime is an exceptional lender who will match you with a loan program tailored to your needs. Give Katherine a call at 772.532.5482 to see what great homeowner opportunities she can help you achieve.